We found that the each product works beautifully together offering a comprehensive program to teach anatomy and physiology. I had my student first read from the Apologia Exploring Creation with Human Anatomy and Physiology book and then I played the MP3 audio CD for her. The MP3 audio CD, which can play on any device capable of playing MP3s, provides an additional resource to reinforce the teachings from the book. The audio is a perfect speed for the child to listen without getting bored or lost. The audio stops and refers the student to particular pages in the book for "Try This!" activities or experiments. These provide a nice break from reading and listening and allows hands on activities that furthers the lesson. I also liked how the audio suggests the student should tell someone else what they learned. My little student loved this part as she always gave me an account after each section she read. Each section or main idea from a lesson has a corresponding audio to go along with the reading making it easy to keep track of where the student is or where they might want to be by clear title headings on the audio menu that matches the book. The audio was also great for when we had to run errands as I could play it in the vehicle. The book is easy for the young and older student to understand with great pictures and diagrams that helps explain the particular body system or function. It's not full of words that require a dictionary to be on hand either. With numerous "Try This!" opportunities, the student can have many opportunities to practice what they have read and heard. 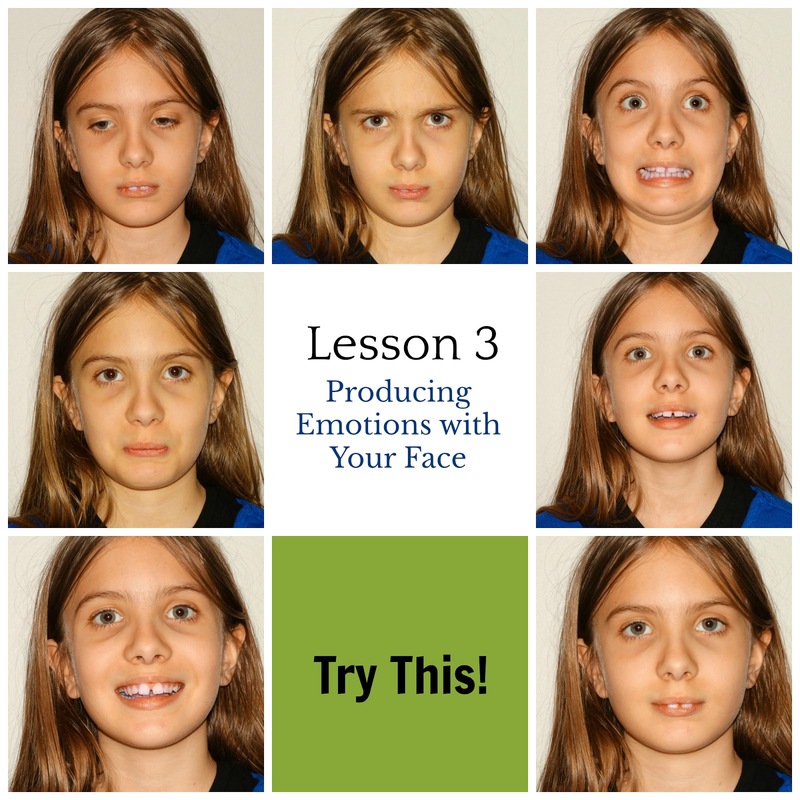 One example of the projects is from Lesson 3 where the student will create their Personal Person Project. The student adds muscles to their Personal Person and if they have the journal, which we do, my student had to cut out and add to her person. Another "Try This!" project was showing emotions which she loved! I have to add that my student was quite pleased to reach lesson six and hear all about asthma since she feels it's an overlooked condition. She was diagnosed with asthma prior to turning one year old. 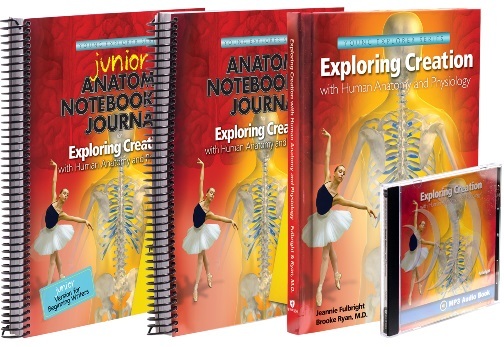 The Junior Anatomy Notebooking Journal for Exploring Creation with Human Anatomy and Physiology is for younger students and is a valuable resource to compliment the textbook. The Note from the Author at the beginning notes it is designed for students that are not yet proficient writers. It also states the student will need some supplies such as glue, colored pencils, etc. There is a suggested schedule which was extremely helpful to me as I tried to plan our daily lessons. I didn't feel it was overwhelming and thought it provided just the right mixture of activities ranging from coloring pages, activities, notebook pages, scripture copy-work in cursive, projects, miniature books, 'more to explore' and field trip pages. I personally LOVED the scripture and Biblical aspects tied in with the many pages. Having the student draw as part of the lesson also encourages their creative abilities within each drawing. The Anatomy Notebooking Journal for Exploring Creation with Human Anatomy and Physiology is for the older student and also requires some routine supplies. It also has a nicely completed schedule that is quite doable and didn't overwhelm my student. As with the Junior Notebook, this journal also requires the student to draw and provides many opportunities to write by responding to questions from the text book. It really makes them understand what they just read and/or heard from the audio. There are crossword puzzles, scripture copy-work in cursive and much more. It's a great tool in getting your child to form independent thought while learning how to read and interpret. This is by far, my favorite program for teaching anatomy and physiology. I believe there is everything and more needed to teach a sound understanding of anatomy and physiology with the Apologia Exploring Creation with Human Anatomy and Physiology package. My daughter gave it a thumb's up too! Follow Apologia World on Facebook, on Twitter, Pinterest, Instagram, Google+ and YouTube.